Credit card fraud is basically the illegal, unauthorized utilization of your credit card to either obtain funds from your account by means of a cash withdrawal or obtain goods without paying for them. The most reliable means of detecting credit card fraud before it gets out of hand is to keep a watchful eye on all your credit reports and your accounts. There are numerous free credit monitoring services that may assist you to do this. Although you may pay to join other more all-inclusive services that will keep an eye on your credit for you, it’s usually not essential if you’re keeping tabs on all your accounts and utilizing credit cards responsibly. The best means to avoid both identity theft and credit card fraud are to ensure your sensitive information is protected as much as possible. Regardless of your best efforts, although, there is usually the possibility of an information infringement that leaves you exposed. Sign any new cards instantly. By signing your signature on the card, you make it much more complicated for somebody else to cover or erase your signature and falsify it in their own handwriting if the card is ever stolen or lost. Carry your cards separately from your cash. Several people carry their cards and cash together in their wallet. But that indicates if your wallet is stolen, your cards will be stolen as well. Do not sign an empty receipt. Draw a line through any space above the total amount (including any tip amounts) if you do not aim to authorize extra charges on your card. Void all incorrect receipts and carbon copies. Report any suspicious activity on your card instantly. Always destroy receipts by cutting them into small pieces or using a shredder. Never put your card number on the outside of envelopes, a postcard, or in a photo online. Always utilize your card for purchases on websites you trust. Don’t click links in emails, particularly those from any individual or company you don’t know. On no account enter your card information (or social security number, etc.) via an emailed link or in response to an email. Always go directly to the company’s website rather than typing the address yourself. Check the page you’re on when filling card information to make sure it’s safe (e.g., begins with https:// or includes a lock symbol in your browser bar). 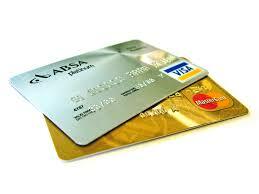 Utilize a credit card (not a debit card) to restrict your liability for any fraud that can occur. See if your card issuer offers one-time use card number or a “disposable” which still links to your account but expires after one use (or is only good for use at a single merchant). Do not enter personal information (including credit card numbers) if you’re on a public Wi-Fi network or public computer. The risk of credit card fraud is on the rise when you utilize your card in unusual environments. When you’re traveling, language and cultural barriers form fertile grounds where fraudsters can operate. Knowing how to stay protected, what to look out for, and what to do in case you fall victim to such attempts is the best form of defense when traveling. For starters, make sure to inform your card company when you’ll be changing residences or traveling. If you don’t, the organization may flag a charge in an unusual location, causing you to lose access to your account. Telephone credit card fraud is on the increase, particularly among elderly populations, but scammers are getting bolder in requesting people of all ages to provide their personal information via the phone. A good rule of thumb is to on all occasion ask who you’re talking to if the call was unsolicited. If you did not request them to call you or make the call yourself, get their information and call back. Any legitimate individual working with a genuine organization will be able to give you their name, a valid number and department at which to return their call, if they can’t, beware because you might be the victim of fraud. Also watch out for phishing through text message, which is becoming more widespread as well. Never send or give out personal information through text, even if you think you know who you are speaking with. Scammers can now imitate numbers to make it appear like you’re texting or communicating with somebody you know, when in reality it’s a criminal on the other line looking to take advantage of you. In conclusion, unfortunately credit card fraud is becoming more and more common. Particularly if you’re a travel admirer who utilizes credit cards to earn miles and point, you need to comprehend how fraud works and the best means to guard yourself. As you can see, the tips above are not difficult but they can end up saving you a ton of hassle down the road if you protect your information now.